Hulk Shaped Mug has been inspired by the Marvel Comics iconic character, the Incredible Hulk. 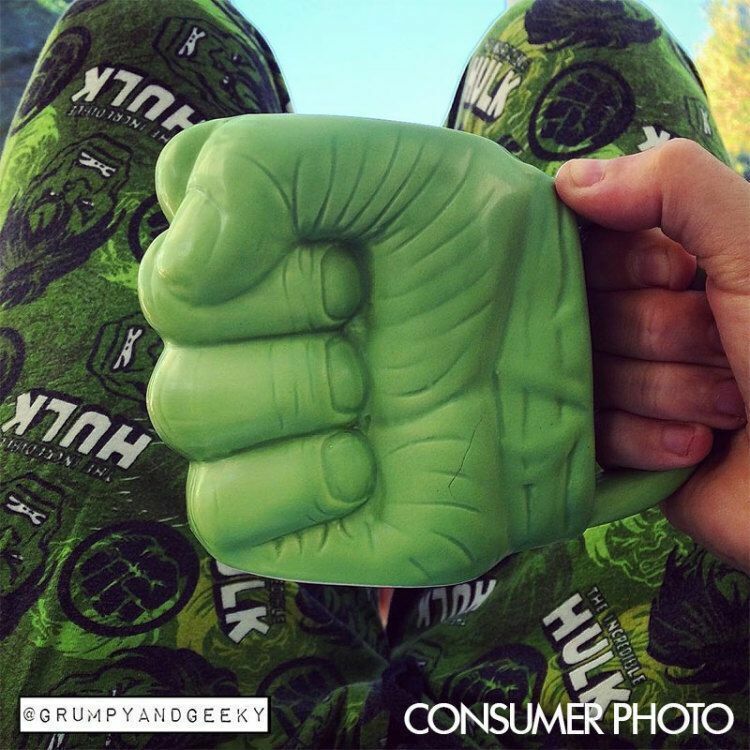 Formed in the shape of his very angry, very large green fist, you can be sure that no one will dare steel this mug. If, like Bruce’s alter ego, you have a large thirst like the big guy, the generous capacity mug will meet all your needs. The shatter resistant mug is made from crystal dolomite that will certainly survive any Hulk-like temper tantrums. For any Avengers fan, the Hulk mug is a perfect gift.